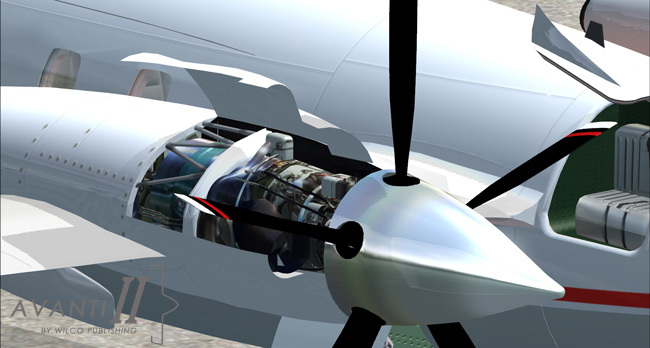 The landing gear operation is highly realistic and detail extends to brake-lines and electrical connections. 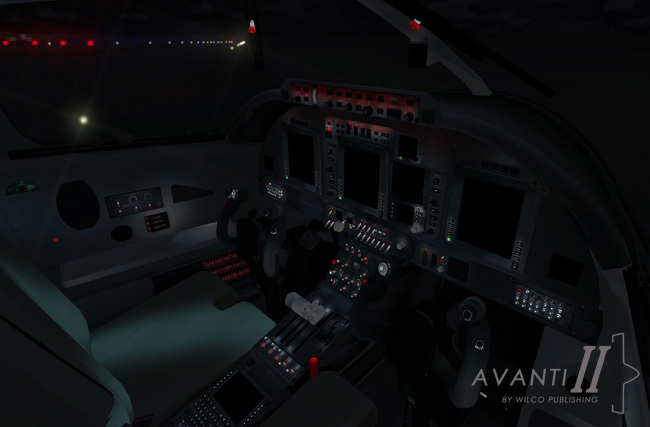 Landing lights extend and retract and the unique canard forward flap system is authentically modelled and animated. 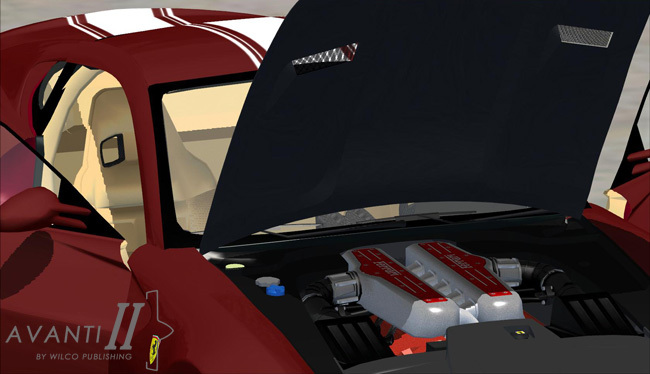 Luggage hatches open and close as does the port engine cover which conceals a fully-modeled turboprop engine complete with big bore exhaust pipe, hydraulic and electrical lines and more. 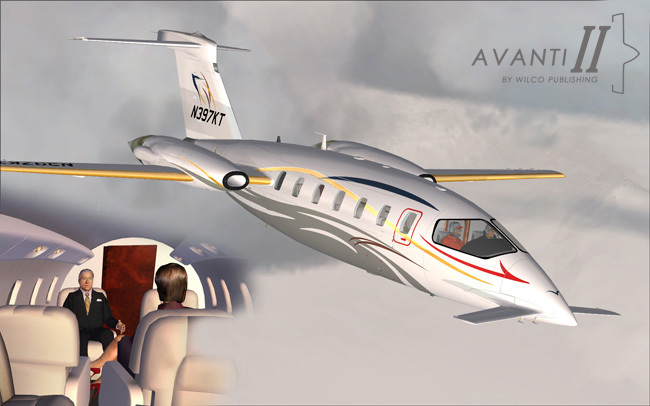 The pilots are uniquely modelled with realistic features and life-like movements and the passenger cabin comes complete with passengers(*). 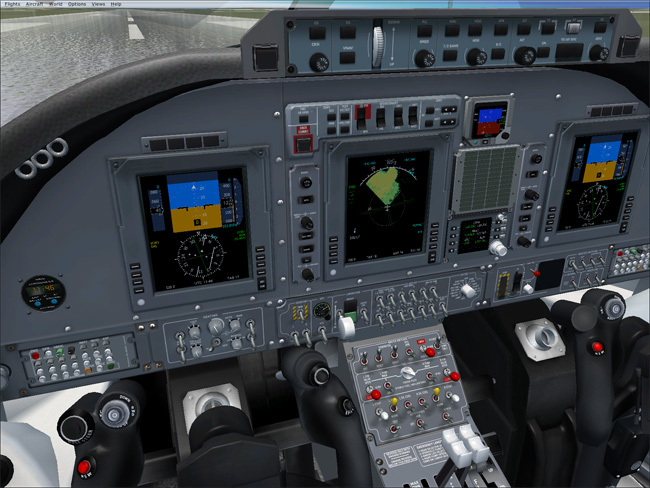 The cockpit is a work of art in its own right. 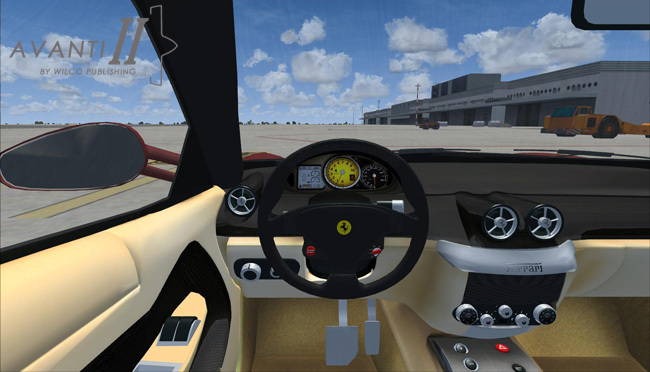 Numerous complex systems and fittings have been modelled in and rendered with texture art that really brings the Virtual Cockpit alive(*). Glass cockpit arrays and flight consoles bristle with switches and knobs that are great to look at and function like the real thing. 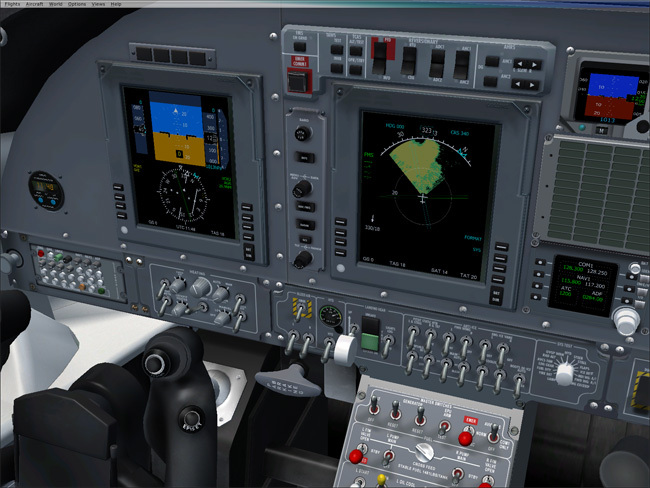 The Flight Management Computer is there and allows inputs for flight-planning. 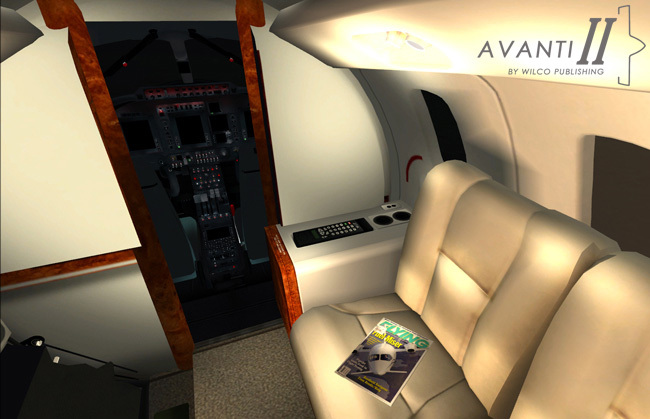 Piaggio P180II Avanti is exciting and challenging to fly and will bring many hours of flight simulation enjoyment! 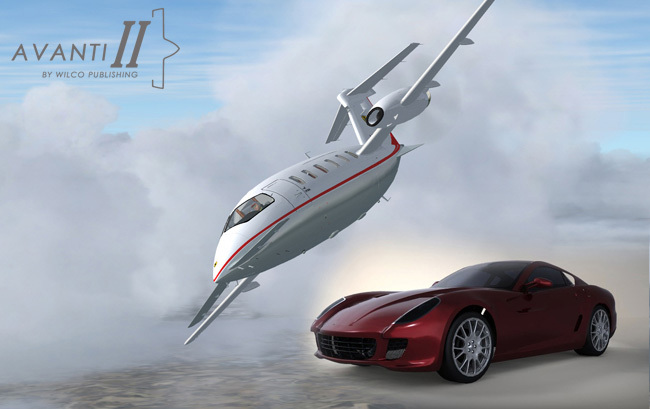 •Jet-like performances with a maximum cruise speed of 402 Ktas. 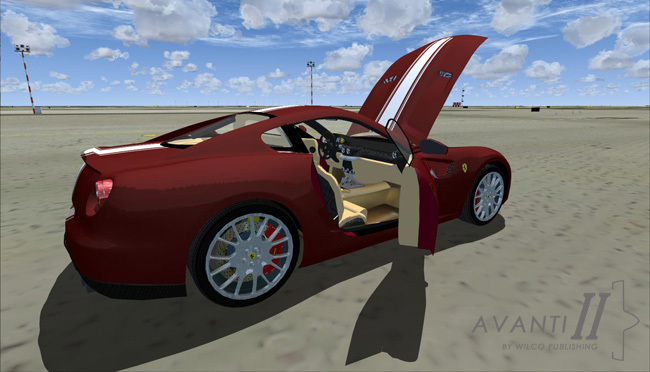 •BONUS : fully driveable Ferrari 559GTB under Flight Simulator X. 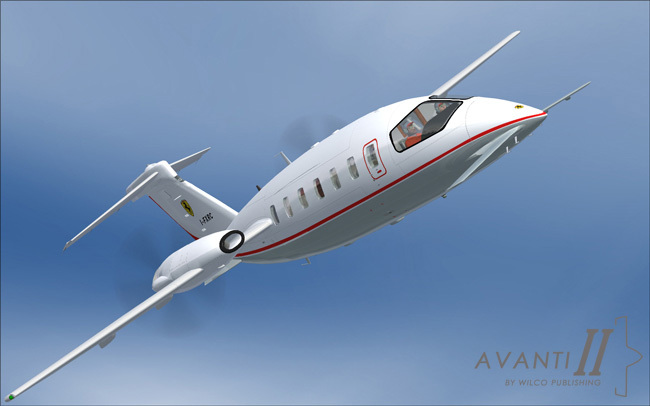 Formula 1 Team "Scuderia Ferrari" flyes Piaggio Aero P180 Avanti II. 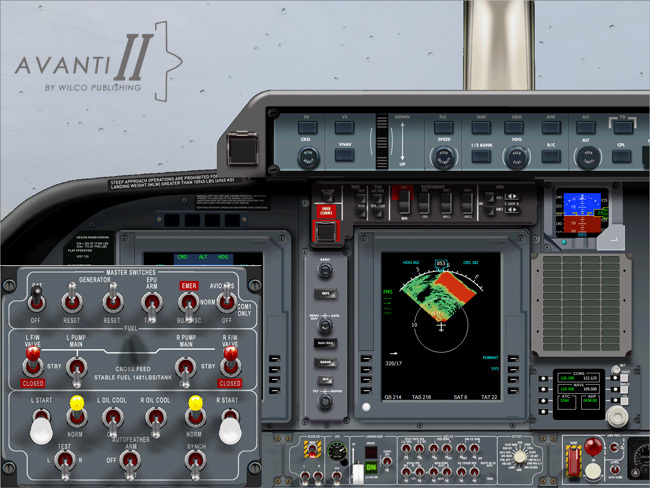 Multiple 2D control panels, including functional overhead, pedestal and "glass cockpit" arrays. 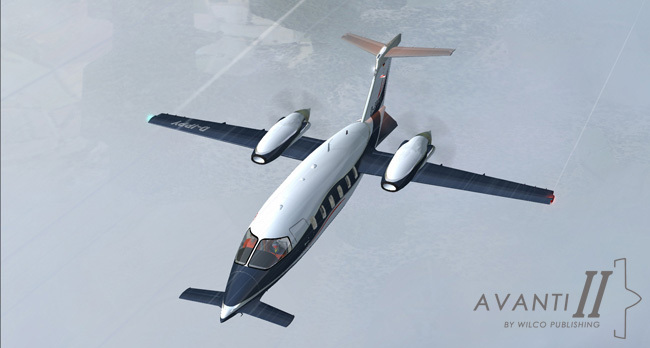 Wilco’s Piaggio P180 Avanti II is equipped with the Wx500, the industry-leading weather radar simulation for Flight Simulator. The technology proved to reliably detect the clouds and water bodies position and actually distinguish between the several types. 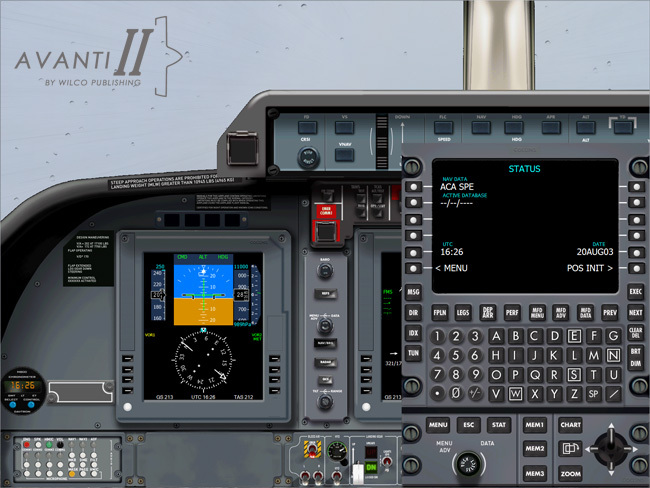 •AutoPilot control panel and radio unit. 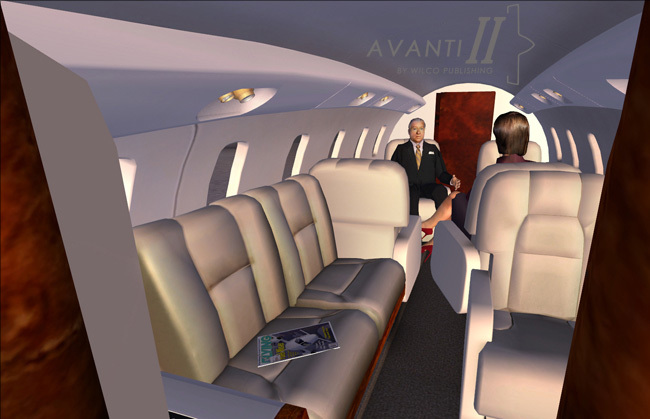 The P180 Avanti II combines elegant Made-in-Italy style, the quietness and comfort of a spacious cabin, and remarkable performance that is similar to that of the most widely sold turbojet aircraft on the market. 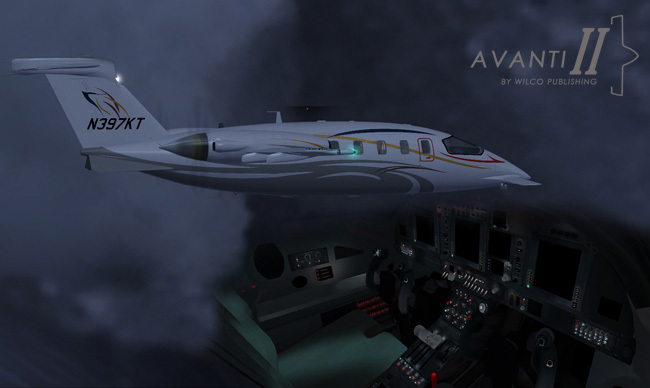 With its outstanding integration of advanced technological solutions and standard equipment offering time-tested operational efficiency, the P180 Avanti II combines superior performance with the very highest levels of reliability and safety. 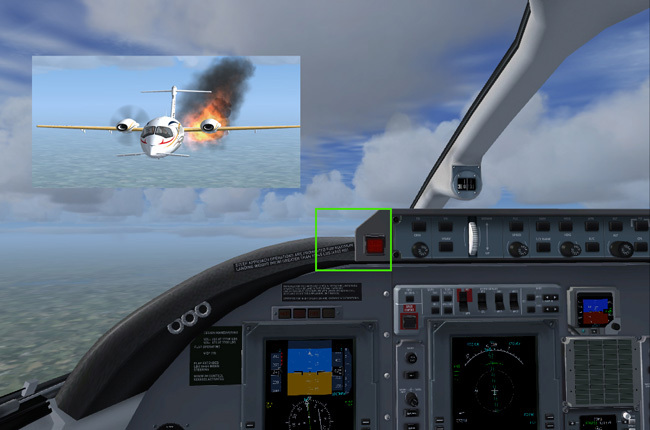 High technology means safety and efficiency. 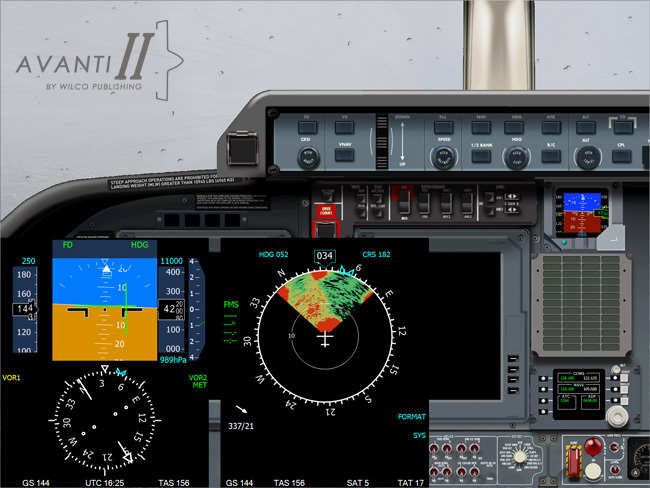 That's why the P180 Avanti II is equipped with the Collins Pro Line 21 digital avionics suite, which is completely integrated with the aircraft's navigation and communication systems, and is certified for full IFR use - even with a single pilot. 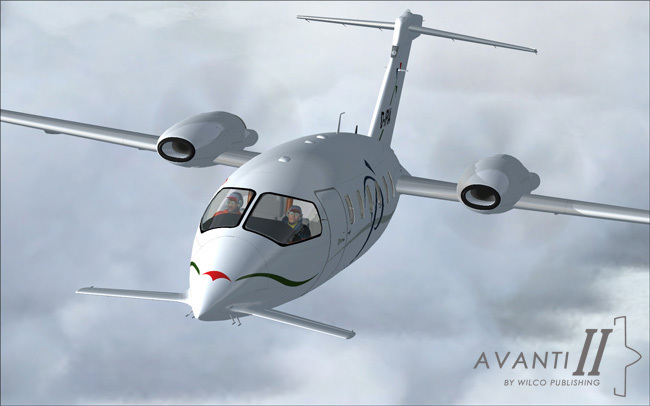 Every component and system in the P180 Avanti II is carefully crafted to provide the highest levels of efficiency and safety under all flight conditions. But the real key to its success is an advanced design with many innovative solutions, the most important of which is the Three-Lifting-Surface Configuration. 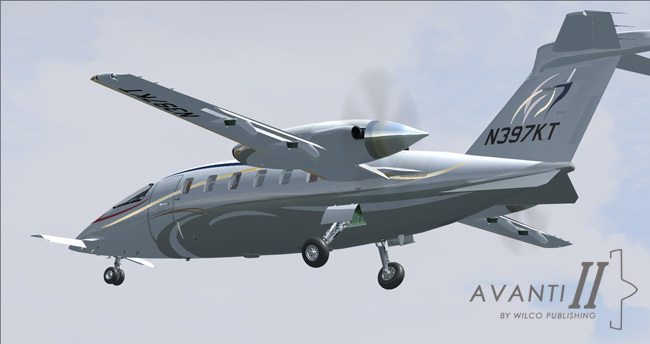 The forward wing of the aircraft (which cannot be called a true "canard" because it lacks control surfaces) contributes to lift, since it is a fixed surface, and is equipped with high lift devices that move together with the flaps on the main wing. 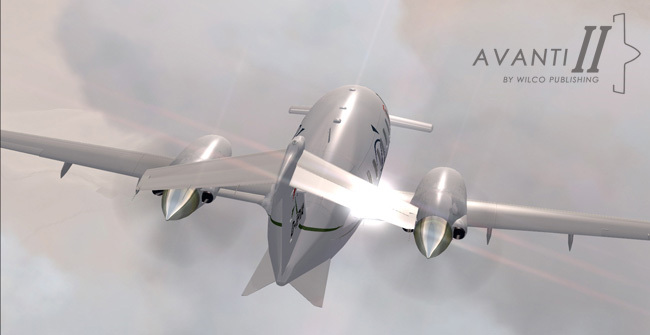 The pitch angle of the forward wing is configured so that it always stalls before the main wing. The resulting automatic nose-down effect assures excellent behaviour at high angles of attack. 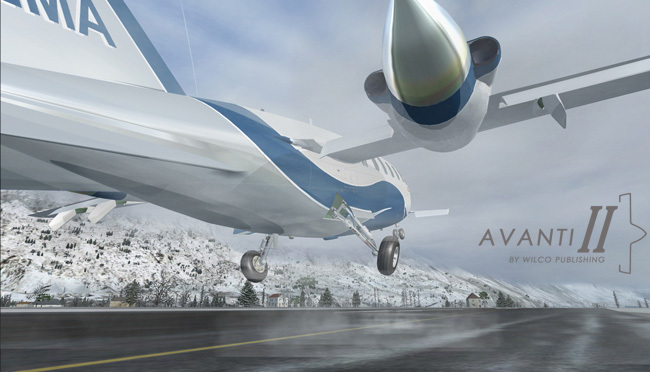 The forward wing has a negative dihedral (~ 5 degrees) to keep its stream wash away from the engine intakes, the main wing and the horizontal stabilizer. 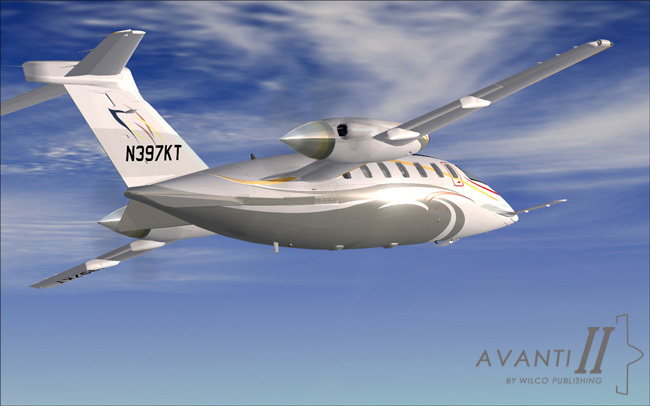 Thanks to the aerodynamic advantages resulting from the aircraft's innovative design and construction, the airflow is laminar over a very high percentage of the wing chord. 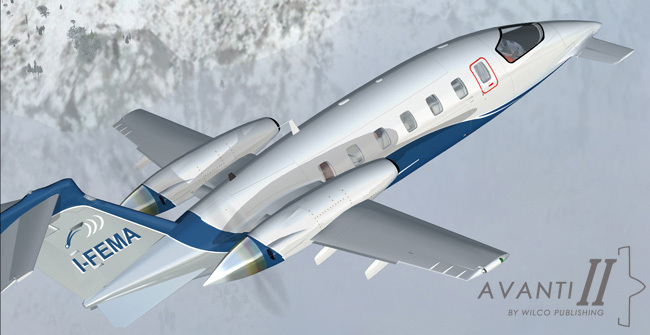 What's more, the push configuration of the propellers prevents propeller turbulence from interfering with wing aerodynamics, which effectively lowers total drag and provides performance that is significantly higher than in aircraft with pull propellers.